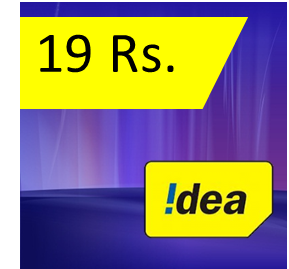 India's yellow colored cellular network "Idea" recently launched 'Unlimited Night Data pack' for all customers across India. The new Internet pack will offer unlimited data at just Rs. 19. Wait, dont plan to celebrate, it's not a 3G data, you will get 2G speed for this pack and if you cross the limit of 2GB, your internet speed will 10kbps(Are you ok with this speed)! Anyway, its great pack for 2G users. To update applications or to download some big data within a night.